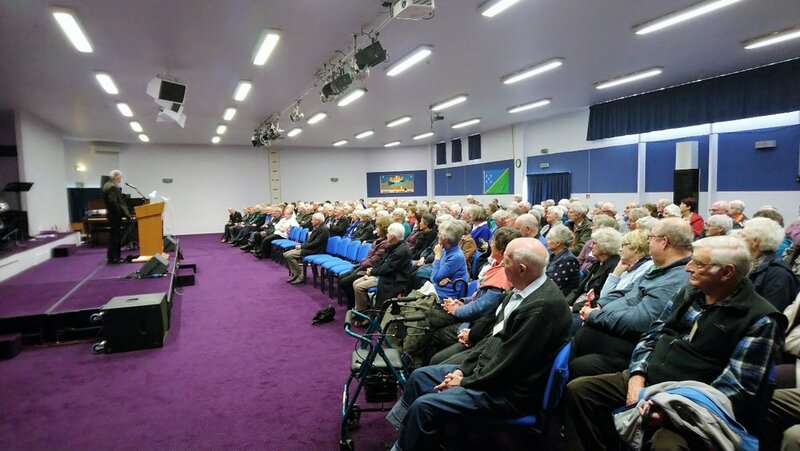 A 5 day course of Curious Minds-Possible Worlds started at Rhode Street School in Dinsdale, Hamilton on the 8th April 2019. This is the smallest class we have done to date, 24 students only. However it is interesting to get up close and personal with the students. We are finding the dynamics very different, in a positive sense. On the 18th March we gathered in the Capitaine Bougainville Theatre in Whangarei City. 4 schools from the local area were represented by 110 students. 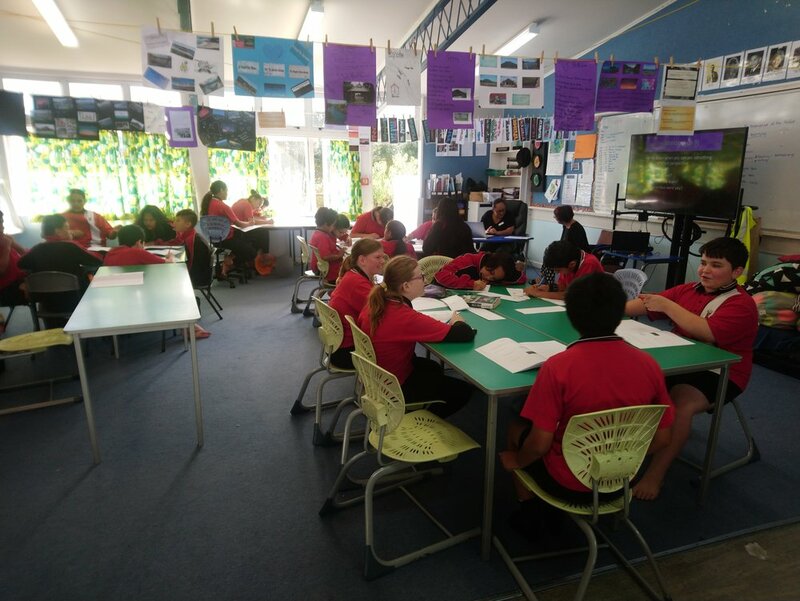 Manaia View School, Whangarei Intermediate, Kamo Intermediate and Maungatapere School. Paul Botica, Deputy Principal of Whangarei Intermediate, was our “go to” guy on the ground. Paul took a risk, as the school had no previous experience of our programme. He came away delighted with the content and presentation from Professor Kathryn Pavlovich. The students have asked us to come back! We have a busy first part of the year ahead of us. Starting on the 18th March we will teach in Whangarei at the Capitaine Bougainville Theatre, 7 schools from the local district. Hopefully the week of the 25th March will be available for schools in Kaitaia. We are yet to confirm this date. Then the week beginning the 8th April we will teach Curious Minds at Rhode Street School in Hamilton. We have funding from NZ Lotteries, Foundation North and Trust Waikato for these 3 projects. Reviews will take place later in the year. Total number of students involved will be approximately 300. 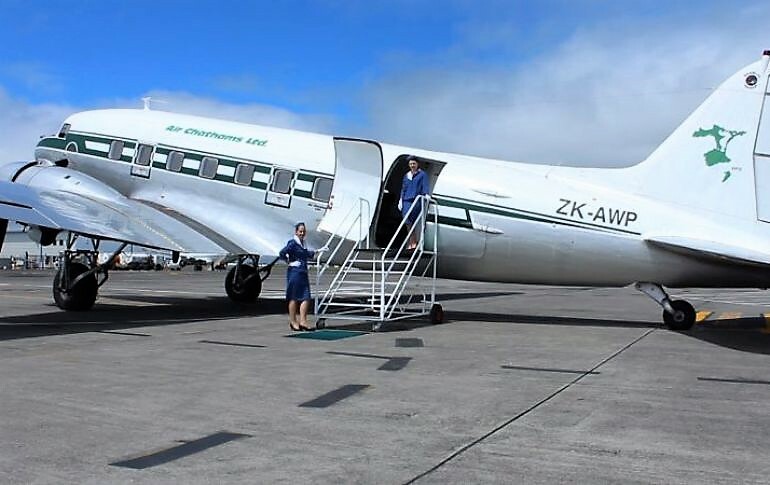 It takes a considerable amount of planning and good luck to get a large aircraft like the Air Chathams DC3 into Hamilton Airport. We have booked 3 charter flights for November 25, 2018. The Airport has offered us the International Lounge again and Airways will provide their services for free. Let’s hope the weather plays ball…. We are planning a Curious Minds-Possible Worlds course in the Waikato to be offered to year 7 students. We are hoping for several schools to opt into this project for over 140 students. We have already booked the Capitain Bougainville Theatre in Whangarei which seats up to 400. Early next year, hopefully with support from Lotteries, we will bring together over 140 year 7 students. We are currently working with 2 special needs schools in Hamilton and L3, a flight training centre at the airport. The special needs students will have the chance to fly in the flight simulator. The booklet for the Curious Minds-Possible Worlds project is nearing completion. We are planning for flights around New Zealand for special needs kids when the weather improves thanks to the generosity of Z Energy. The course was held in the cinema complex at the Te Ahu Community Centre. 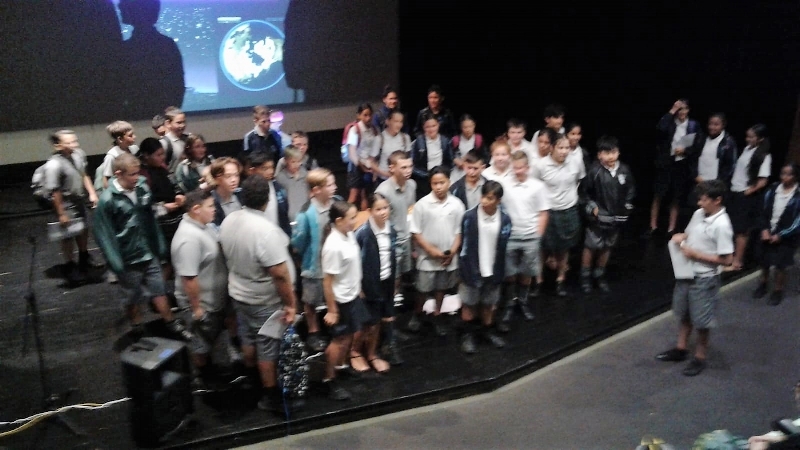 There were 110 students from 6 schools around the Kaitaia District. The programme consisted of 5 sessions, each two hours long. Of the 110 students, 98% completed the syllabus. This is a remarkable success. Assignments to be completed by the students were done in class. This allowed the teachers to collect 100% of the prepared booklets that had been handed out at the beginning of each session. The assignments were marked. We noted a major improvement in the students over the 5 classes. In session 1, 9.5% of the students achieved an excellent marking. By session 4, the level of excellence had risen to 27%. This demonstrated to us a willingness to learn and apply that learning. The level of attention during the 2 hour intense sessions was remarkable. We have held the view for a long time that our flights can help more than just the immediate project. For example, if Child Flight was flying down to Christchurch to undertake a flight for "kids in wheelchairs" this means the aircraft flies down to Christchurch with available seats and back. Because we are a charity, we provide flights for free. Our aim would be to accommodate passengers in need of help, particularly those who are infirm, have a disability, or need non urgent transport to a local hospital. The idea is to help those who would otherwise be exposed to the stressful rigours of public transport, having to wait in queues, loading wheelchairs, bound by airline schedules and non-direct flights. At the moment we are VFR, meaning we only fly in visual meteorological conditions. Eventually we will work our way to IFR where we can fly all-weather. IF THERE IS A PROGRAMMER OUT THERE WHO COULD HELP US WITH THIS CONCEPT PLEASE CONTACT CHRIS JORDAN ON 021 506292.